There are tips and natural remedies for dandruff which you can prepare and use in order to get rid of it permanently. The treatment of dandruff can be long but effective if you follow some advice. Consult your pharmacist or dermatologist will help you choose the most suitable shampoo for your case. The treatment of dandruff can be a costly and long process, but with remedies that help its disappearance. 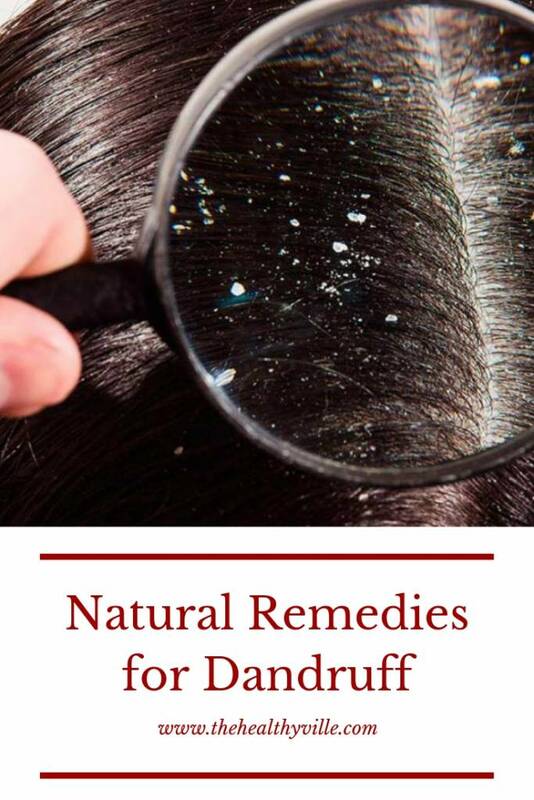 Thus, dandruff is an excessive desquamation of the scalp cells, so that flakes of skin appear on the hair that, although they do not pose any health problem, can be unsightly. The dead cells of the scalp are continually detached, just like the rest of the skin. However, if dandruff appears it is because the peeling has increased due to nutritional causes, bad habits in hair care, stress, etc. Next we give you 4 basic remedies to take into account in the treatment of dandruff. Discover them! Using the right shampoo for each type of scalp and dandruff will help its removal. Some shampoos can be used daily, while others must be used a couple of times a week. All this will depend on the cause and the treatment indicated. For this, you can consult with your dermatologist. In addition, it is important to keep the shampoo in the hair between 5 and 10 minutes continuously massaging the scalp with the fingertips, never with the nails. Otherwise, the effect could be opposite. In this way you will avoid residues in the scalp. These residues could cause itching or irritation. The water should be warm, the extreme temperatures are not adequate. Therefore, avoid water or very hot or very cold. Each type of anti-dandruff shampoo has its own active ingredients. Therefore, if you use more than one brand of shampoos, dandruff is attacked from more than one side. A hydroalcoholic lotion can also be used after washing or a mask with a different composition. One of the best tips and natural remedies for dandruff that we can suggest is regular brushing. Regular brushing will remove the remaining dandruff residues on the hair surface. Make sure that the brush does not have very sharp prongs otherwise you would do the same damage as with the nails. The more you brush your hair, the more effective the treatment of dandruff will be and the less flakes will appear. Another option would be to not use the dryer at high temperatures and avoid touching your hair a lot with your hands. You must know that there will be times when dandruff is more usual or visible, as there are certain circumstances such as seasonal changes, dry and cold winters, allergies, the use of dyes or fixatives, stress, etc., related to their appearance. Therefore, you should first know what factors affect us the most and how to minimize them or avoid their exposure. In any case, if the coat persists despite these basic tips, visit a dermatologist or consult your pharmacist. Also, depending on the type of dandruff, seasonal or permanent, oily or dry, they will recommend one treatment or another. Don’t forget to SHARE these tips and natural remedies for dandruff with your friends and family on your social networks!